Democratic mayoral candidate and state Sen. Anthony Williams wants to give every high school senior a $10,000 check at graduation. The two were the only mayoral candidates to make their case to voters at a debate at the Masjidullah Community Center on Tuesday. Kenney, who is seeking a second four-year term, did not attend and a poster sat in his seat that read “Mayor Jim Kenney, The Invisible Mayor, No Show Got To Go.” The mayor “never confirmed to participate” and was unable to attend due to “another commitment” that had “been on his schedule for months,” according to a statement moderator Vincent Thompson read at the debate. Billy Ciancaglini, the lone Republican candidate, was invited but did not attend. Dozens of people attended the debate, which was organized by the Muslim League of Voters for the Delaware Valley. 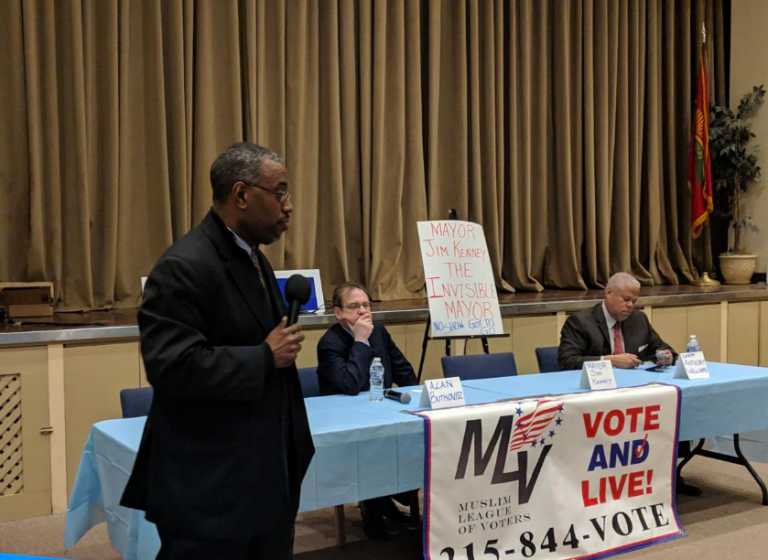 Suetwedien Muhammad, the president of the regional Muslim League of Voters, said the group organized the debate because it felt the city was not adequately addressing issues that affect Muslims. He called on City Council to pass a tax amnesty bill that was introduced last month. While absent, Kenney’s presence loomed large as the challengers attacked his policies and record. But Williams and Butkovitz face an uphill battle: No incumbent Democratic mayor has lost a re-election bid since the city adopted its Home Rule Charter in the 1950s. The hour-long debate touched on the city’s homicide rate, the police’s tactic of “stop and frisk,” the sweetened beverage tax, Blacks in high-ranking city positions and Islamophobia. Both candidates agreed on many issues. When asked how to curb Islamophobia in Philadelphia, Butkovitz said he would welcome Muslim leaders to help solve issues confronting the city and Williams said he would offer leadership roles in his administration to Muslims. Both candidates pledged to have more Blacks and people of color in high-level cabinet positions compared to Kenney. Kenney continues to surround himself with white men. Kenney has 15 high-level cabinet appointments, 11 of whom are white and four of whom are Black, according to the 2018 workforce diversity report. Both challengers deflected when asked about firing Police Commissioner Richard Ross, whom Kenney appointed after taking office in 2016 to replace then-commissioner Charles Ramsey, a well-regarded leader who oversaw a decline in homicides in the city. “The last time I answered that question, I lost an election,” Williams said, referring to attacks he made on Ramsey during his 2015 mayoral campaign. The two challengers criticized Kenney for the city’s high homicide rate. Homicides hit a 10-year high last year — 351 — and were up 11% from the previous year. The trend is continuing in 2019: 81 killings as of Monday mark a 9% increase from last year. 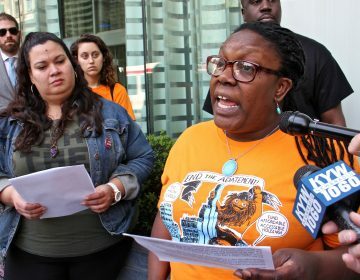 Both Butkovitz and Williams also pledged to end the Philadelphia Police Department’s tactic of stop and frisk, which disproportionately affects Blacks and people of color. Kenney has yet to follow through with his promise to end stop and frisk. “[Stop and frisk] just creates a war between the community and the police,” Butkovitz said. 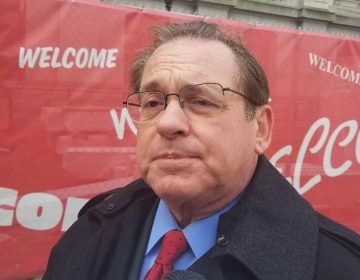 Butkovitz, the former City Controller, also criticized Kenney’s handling of property assessments, saying his policies have led to skyrocketing property taxes that have exacerbated gentrification and contributed to the displacement of long-time residents. He added that taxation “should be based on your ability to pay.” All residents were not benefiting from the city’s development boom, he added. “They are pushing long-term residents out of their neighborhoods to make way for redevelopment … and for the elite,” Butkovitz said. Both Butkovitz and Williams also said they would eliminate the city’s sweetened beverage tax, which pays for schools programs and a citywide renovation initiative. Williams suggested using the city’s surplus to pay for pre-kindergarten, but did not mention how he would fund Community Schools and the program to repair more than 400 libraries and public spaces, known as Rebuild, which the tax pays for. Butkovitz didn’t mention how he would pay for any of the programs. Kenney has consistently said without the soda tax, the programs it funds would go away. The tax is projected to raise $76 million in fiscal year 2020. Williams estimated the payouts would cost approximately $150 million a year and reduce poverty and illiteracy rates. He suggested using the city’s surplus — $369 million in 2018; a projected $228 million in 2019 — to pay for it. “We’re going to take our revenue and put our money where our words are,” Williams said. After the debate, Rahimah Abdullah, 61, of West Oak Lane said property taxes were her top campaign issue. Kenney “has work to do” in regards to outreach with the Black and Muslim communities, she said, but she remained skeptical about all the candidates. 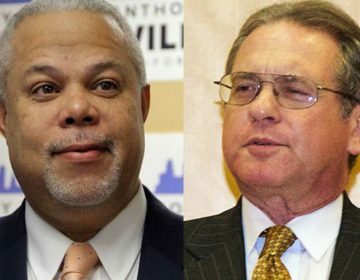 Kenney, Williams and Butkovitz are competing in the May 21 Democratic primary for mayor. Two Democrats are challenging Philadelphia Mayor Jim Kenney’s bid for a second term.